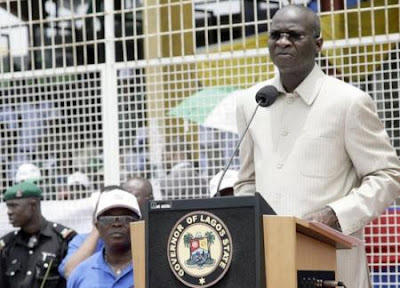 Lagos State Governor Mr. Babatunde Fashola yesterday, Tuesday 9, approved increased salaries and allowances for Medical/Dental workers in the state public service to the equivalent of 75per cent of the Consolidated Medical Salary Structure (CONMESS). The government urged the doctors to end the strike. Eko oni baje o... "We are Fash and Proud", that is the tee-shirt that a lot of people in the diaspora would love to wear. Fashola makes a lot of Nigerians proud. This man knows that doctors are very crucial in any society. Show me a failed state and I'll show you a state where the healthcare, education system are both in the gutter. I guess sometimes you need to demand for change. Just read in The P.M. News that doctors have rejected the 75% implementation of 'CON MESS'. They vowed to continue with their strike until 100% implementation of 'CON MESS' is carried out. May God save us from the 'MESS' of the 'CON' men. as a doctor, i agree with my colleagues. doesnt make sense for a house officer in Federal hospital to Earn more than a doctor with 14 years experience in State hospital. As a doctor, I think it's unfair to pay them differently from their other colleagues and it's better to stand up for your rights. On the other hand, I really feel for the masses and pray that the governor would implement it 100% so this conflict can end. It has gone on for too long. AWESOME!!! I love this guy! looking for a related matter, your web site came up, it seems good. Hello there, just turned into alert to your weblog through Google, and located that it's truly informative. I'm gonna watch out for brussels. I'll be grateful should you proceed this in future.